Carnival Corporations Fathom cruise line has experienced issues with its first and only cruise ship the Adonia. Local 10 News reports the ship had a brief power failure not long after departing PortMiami for a sailing to Cuba. The 704 passenger vessel depart Miami, Florida yesterday on a 7-night sailing to Cuba but at around 5 pm the ship experience a power outage. The electrical outage lasted for approximately 30 minutes and the ship returned back to PortMiami for a check up on the issue. The Adonia was given the all clear to depart the port once again at 3 am today. Carnival told the site all services were running as normal and guests are being updated. 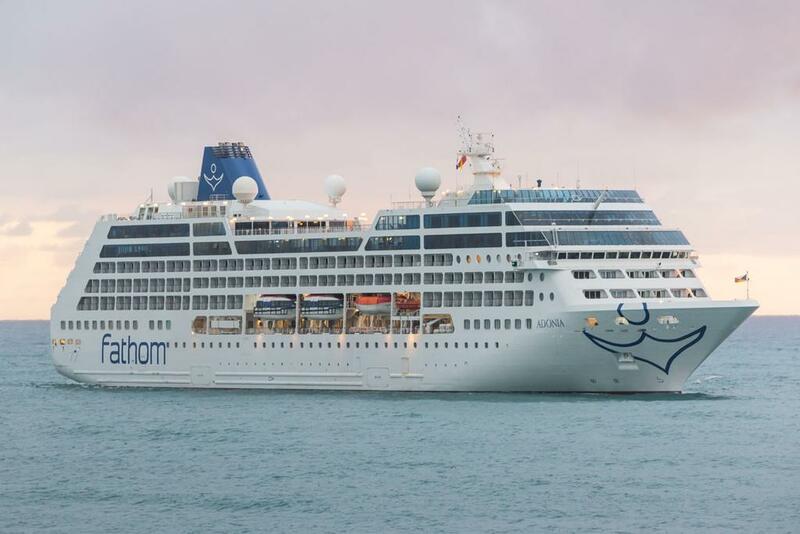 Fathom Adonia has departed Miami for its seven night Cuba itinerary following a delay due to a technical issue. Fathom will now arrive into Havana for the two day call at 07:30 on May 31 and will depart at 18:00 on June 1. Unfortunately it has been necessary to cancel the call to Cienfuegos and the ship will proceed to Santiago de Cuba as scheduled. Due to the return to port and a late departure the Adonia sailing to Cuba has been affected. Instead of arriving at Havana on May 30 the ship will now arrive on May 31 at 7:30 am. The ship still be spending 2-days in the Cuban capital with a departure on June 1 at 6 pm. The bad news is the call to Cienfuegos has been cancelled but the rest of the cruise will continue as scheduled. The Adonia is a 30,300 gross ton vessel and is the first U.S. owned cruise ship to call at Cuba in over fifty years. The ship departs every Sunday from PortMiami and alternates between cruises to Cuba and the Dominican Republic. Paul Gauguin Cruises is offering a two-week sale on cruises to destinations which many can only dream of. Oceania Cruises has announced the dream cruise which lasts for 180-days and sails all around the world. Oceania Cruises has announced the order of two brand new generation cruise ships from Italian shipbuilder Fincantieri.